Looking for an automated malware analysis software? Something like a 1-click solution that doesn't require any installation or configuration…a platform that can scale up your research time… technology that can provide data-driven explanations… well, your search is over! "Even if it is waiting for a long period, we know how to gracefully trigger long sleep or events, making the malware execute its full potential of malicious code immediately by altering its behavior to receive maximum information regarding its true nature," researchers told The Hacker News. "Multi-vector AI detection mechanisms and behavioral indicators work together to detect malicious activity and aggregate data to provide decisive conclusions about the nature of the file," researchers told The Hacker News. "We support all newest forms of lateral movement signatures (Including AtomBombing and ProcessDoppelganging, which are relatively new methods of ways to create processes and avoid antivirus detection)," the researchers say. "For each behavior indicator we find, we provide the full pseudo code triggered this behavior. This is one way we provide huge visibility on what happened on the machine," researchers told The Hacker News. Zeus Banking Malware, SNDBOX shows exciting information, such as visibility for "Hollowing," and "Injection" lateral movement on the system. "Our reputation engine works alongside AI search to reduce false positives. Highly similar results are returned and scored based on their relevance," the researchers said. "All research data, conclusions, and corresponding expert explanations are available in our open research platform, supporting the community’s ability to scale efforts to combat evasive malware collectively." "Furthermore, with full access to our data, all levels of your team can leverage information necessary for complete malware remediation and new research possibilities, while sharing insights, public samples and IOC's through our community platform." 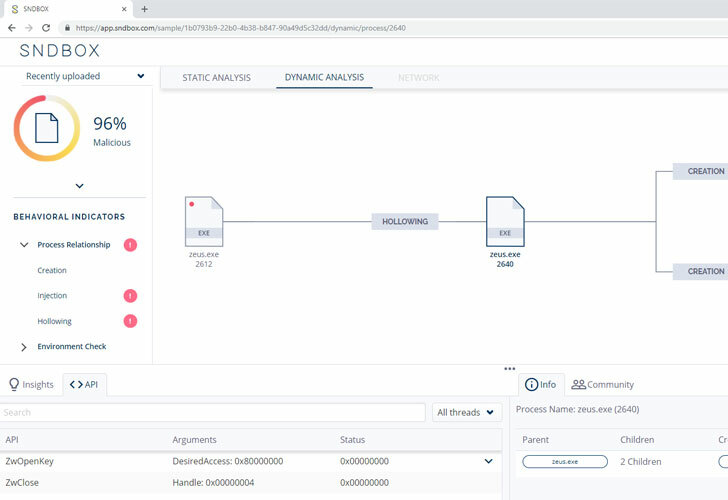 "We also provide an on-premises version of our platform, where you can analyze your file in a completely off the network environment, on your organization, connect anything you want to the solution," researchers said. "As a platform, I think this brings a new useful capability for binary analysis that goes beyond the signature and simple heuristics typically seen in the cuckoo sandbox, categorizing samples through instrumentation both dynamically and statically is useful, and it also can provide a fast overview of a new sample to determine its behavior." 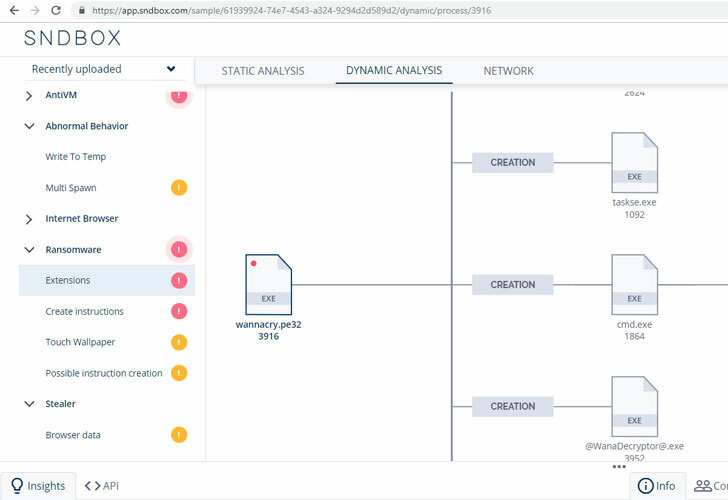 "It's a very useful new tool to add to the malware analysts toolkit and helps to categorize threats for which a signature might not yet exist. Simplifying this analysis process and providing a high-level overview of the samples behaviors is excellent. 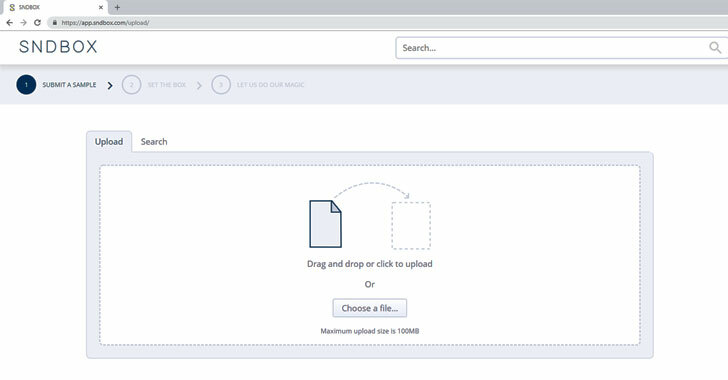 It is something I will be using going forward, much like cuckoo sandbox and VirusTotal it brings another rapid assessment capability to the hands of malware analysts." 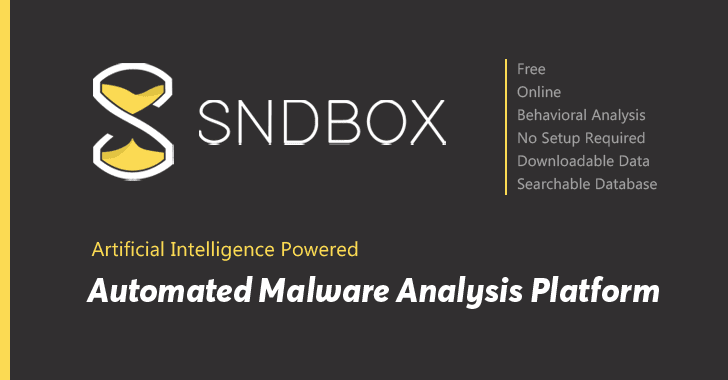 "SNDBOX is a game changer in how malware sandboxes operate today. It contains additional technical layers which cannot be found in other available services." 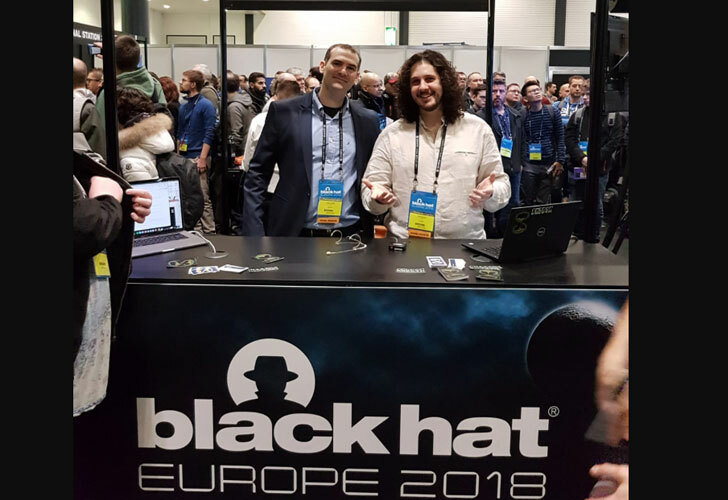 "In addition, the team behind the solution are nothing but top-notch experts who knows well how to detonate malicious samples and extract the most valuable parts without a hassle." Tal Liberman, Security Researcher at Polarium, a consulting company that specializes in low level security research. "It is evident that SNDBOX has been created by some of the best malware analysis experts. The platform has many advanced features, such as RPC visibility, accurately identifying the latest types of attacks, and advanced searching capabilities, which are not available on other competitive platforms. It would undoubtedly save valuable time and effort of malware researchers when analyzing malicious samples."